Did you know there are something like 9 Fridays left till Christmas? WHAT? I am in just as much shock as you! I have a Christmas card appropriate for the occasion! 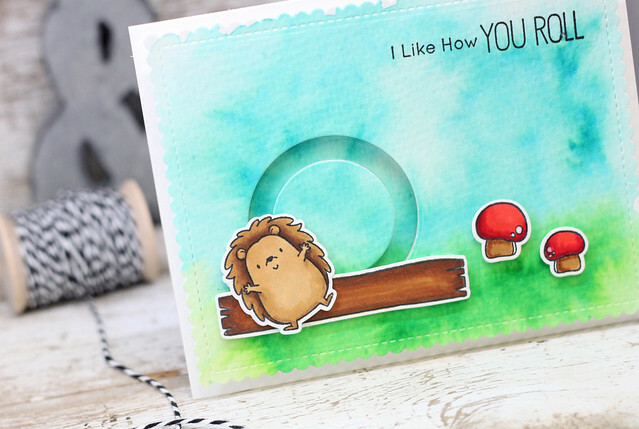 I really had so much fun making this card. For the background, I did some ink blending with Tumbled Glass. Next, I took the Snowfall die and die cut the background panel. Next, I die cut the mountains out of white and added those in. I colored the little Yeti with Copics and then dotted the Christmas lights with some Glossy Accents. I decided to add in the Santa hat at the last minute and thought it would be fun to sit on the mountain top instead of his head. I thought it made it a fun surprise message on the inside of the card. 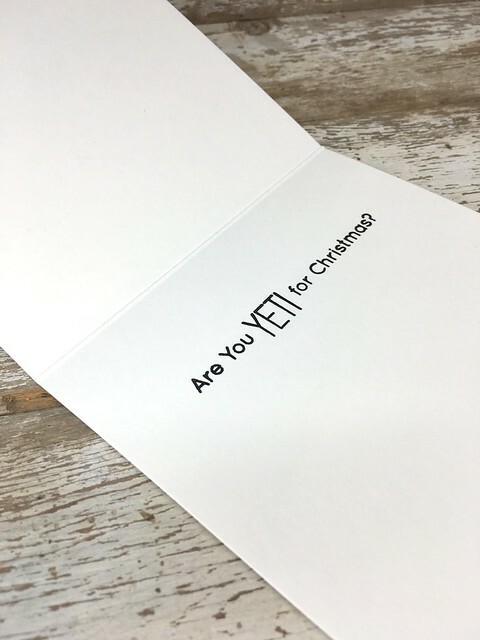 I hope you like my Yeti card. There is a new release underway over at MFT. Head on over to their blog to see the new sneaks! First, I watercolored a background so I would have sky and some great. then I pulled out the Copics and tried my best at some coloring. 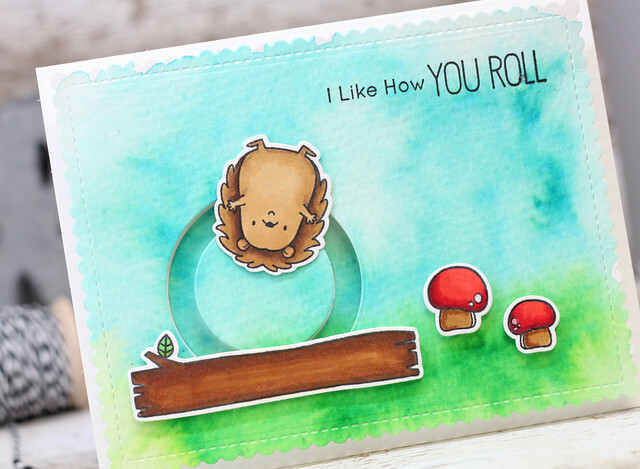 I popped up the log and mushrooms with foam tape and then added in the interactive element. So easy! Head on over to MFT to see all their interactive goodies. Have a great day! 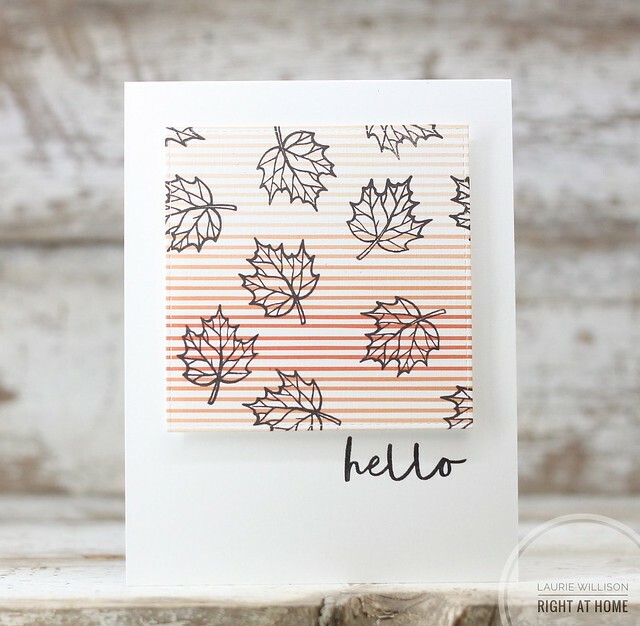 First, I stamped the leaf image on some pattered paper. I love how the leaves feel like they are actually falling. 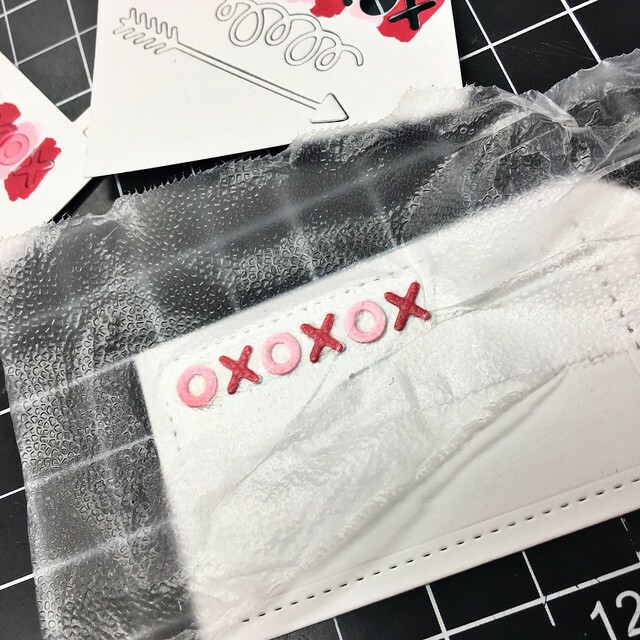 I die cut the paper with a stitched square die and then popped it up on foam tape. That is all I have for today. Thanks for stopping in! 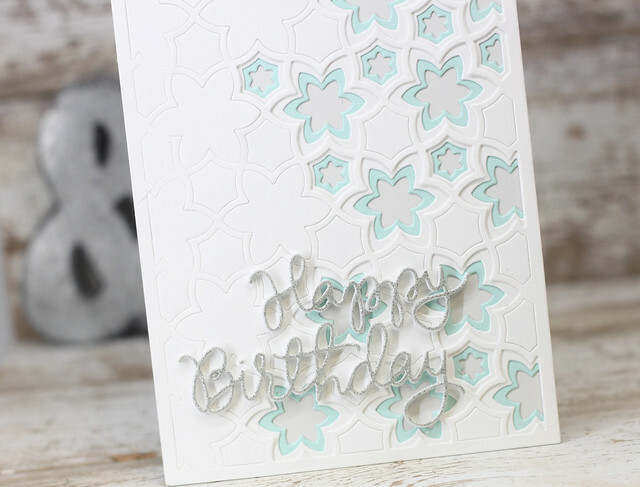 A simple die-cut word can serve as a stand-alone sentiment or accent, or be integrated into a full on greeting when paired with the perfect stamps. 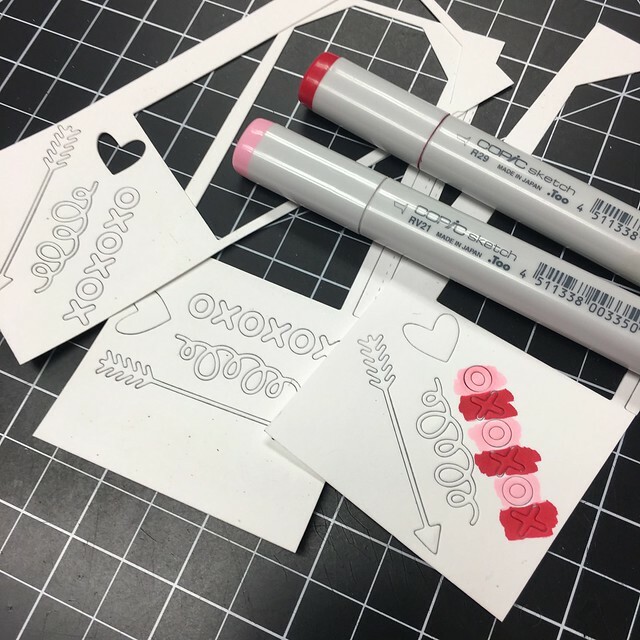 Many of our Blueprints include simple word elements that speak volumes and this month, we’re sharing ideas for integrating them into your own crafting. 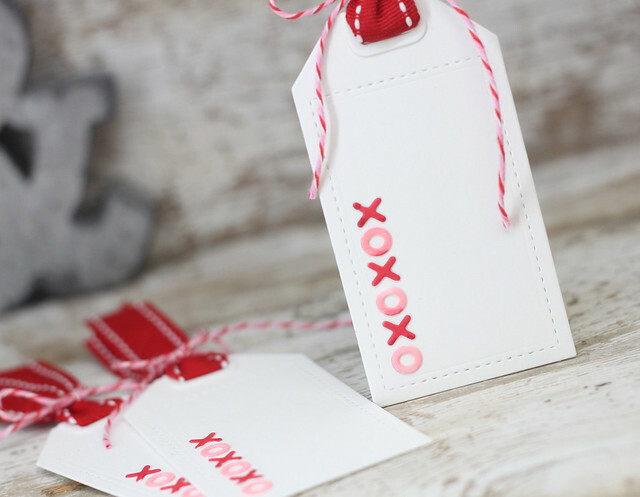 I have a set of super simple tags today using Tag Builder: Blueprints 6. 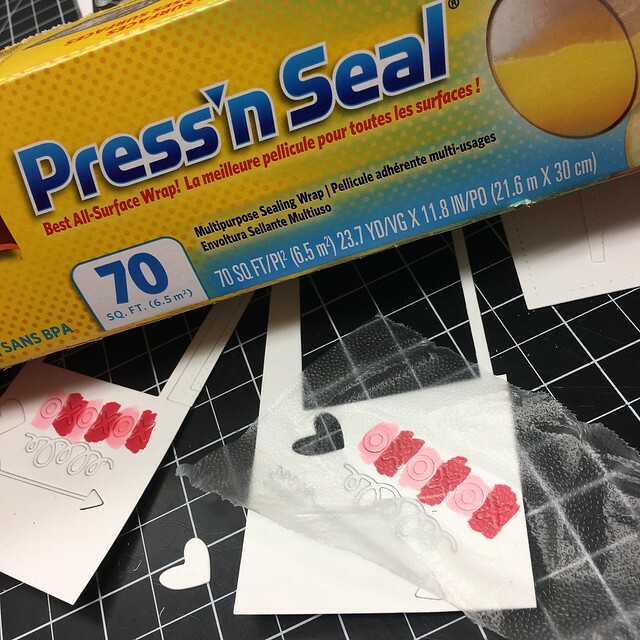 To keep them uniformly spaced, I used Press n Seal...of course! 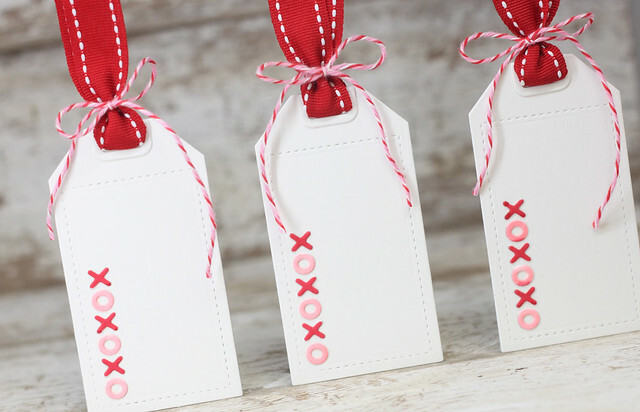 All ready for some Valentines Day treats! 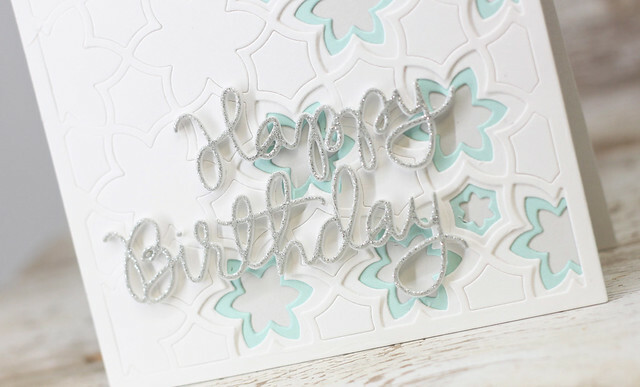 Head on over to the MFT Blog to see what the other girls have constructed for today! :) Thanks for stopping in! 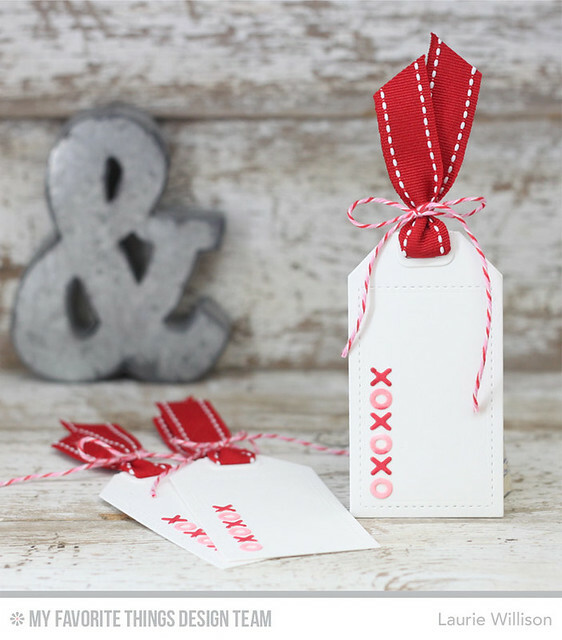 If you follow my blog, you know I have said time and time again....I love making lists. I always have several lists going at one time and over the years have used a bullet system for my lists. 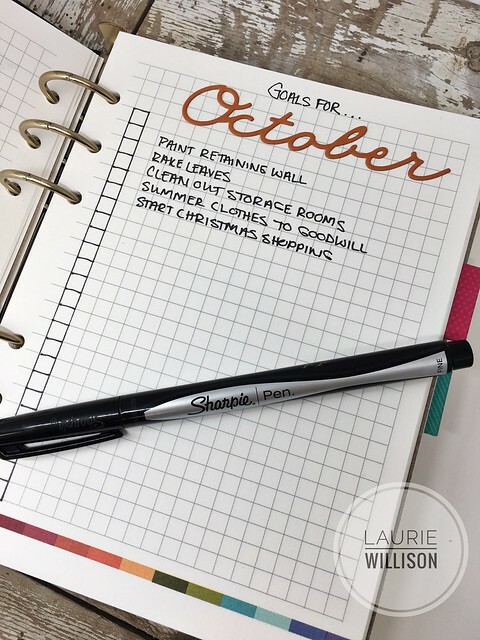 I love to be organized and love the feeling of checking things off the list. I have seen the use of Bullet Journals over the years, but have been a little intimidated because of all the beautiful ways people add in hand drawings and hand lettering. I saw my friend Linda's journal this last weekend and she inspired me to try. 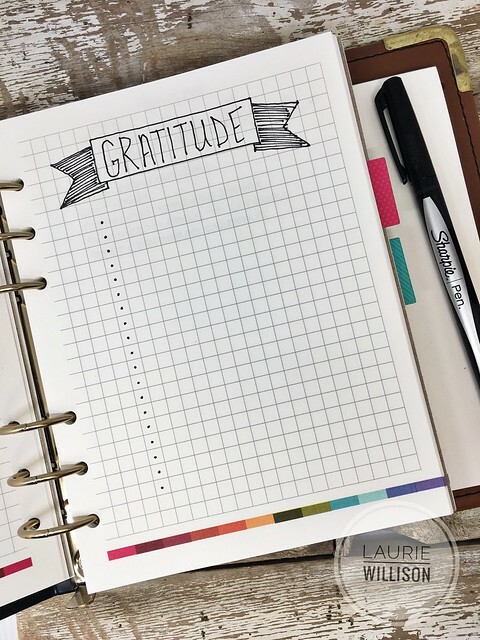 So today's post is for all the bullet journaling newbies (or wannabe's like me!) 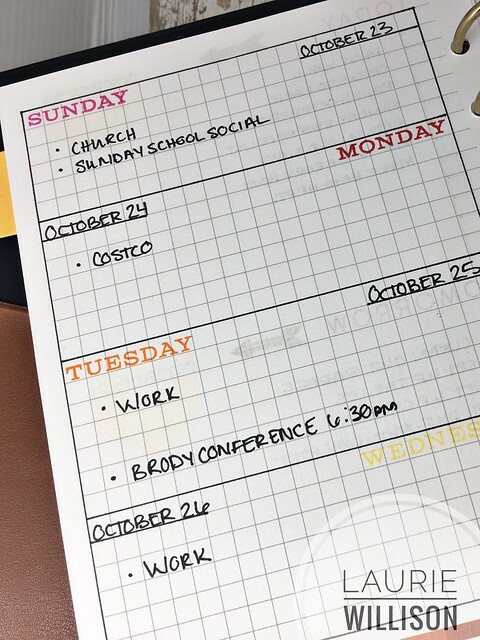 The great thing is, with all the Monthly Moments stamps and dies, bullet journaling can be even easier! 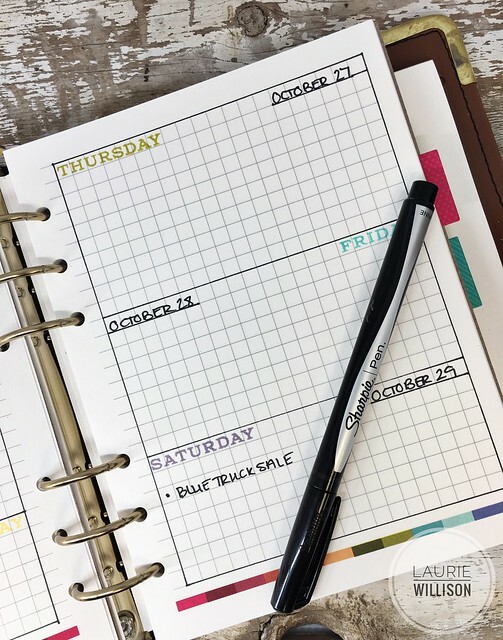 All you need for your Moments Inked binders is THIS adorable graph paper to get started, along with your favorite pen! 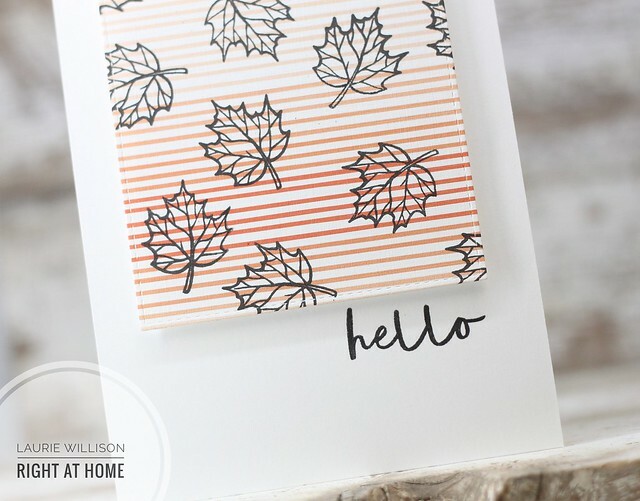 This first page is a to do list using stamps from the Posted Stamp Set. 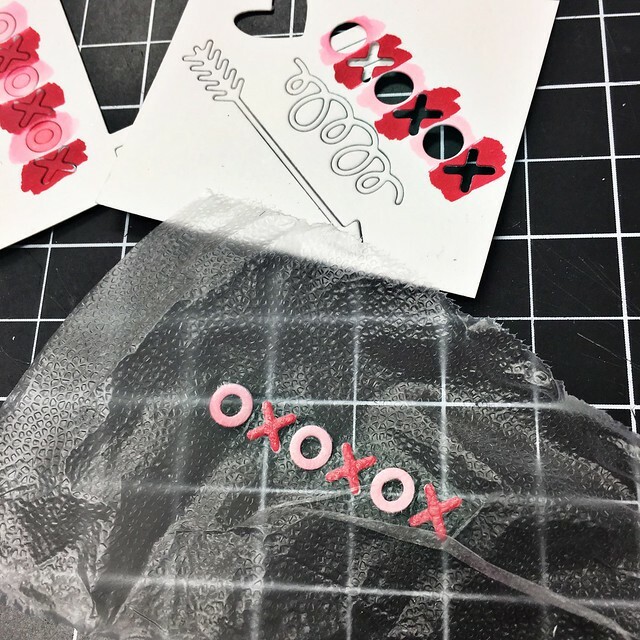 I used a sharpie pen and added in the check boxes with a ruler and another arrow stamp from the Posted Stamp set, as well. Last, I added in an actual week layout. This was super simple to draw up and of course, as I keep learning, I am finding more and more ways to decorate these pages. 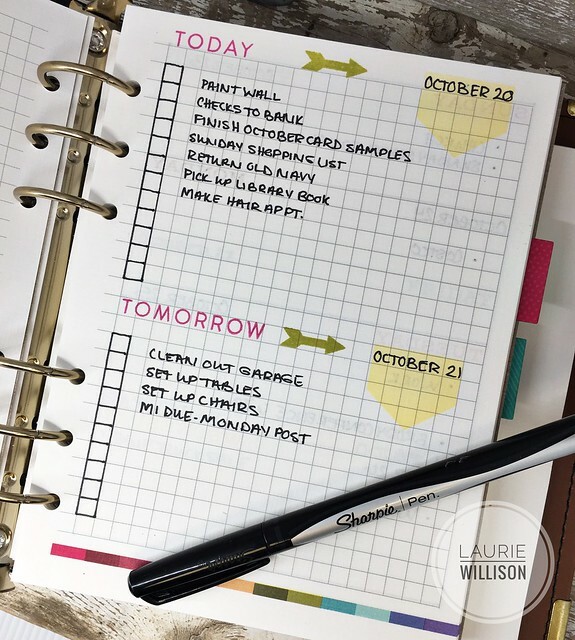 Click HERE to head over to Pinterest to see all kinds of resources to start your own bullet journal. 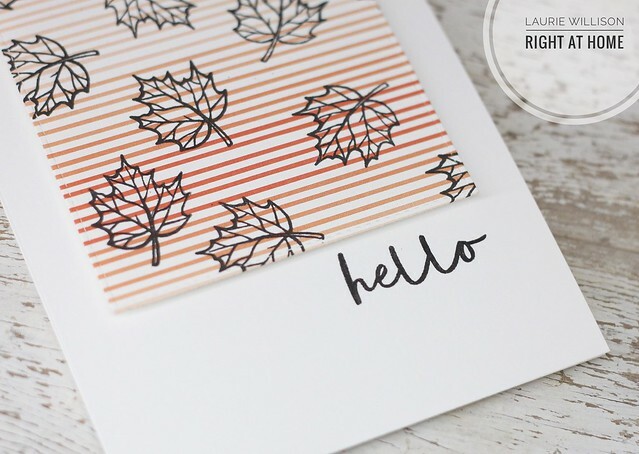 And don't forget to to head on over to Papertrey Ink and check out the whole Monthly Moments Planner line. So glad you stopped in today! Hopefully I helped out a bullet journal newbie take the next step! Have a great day! 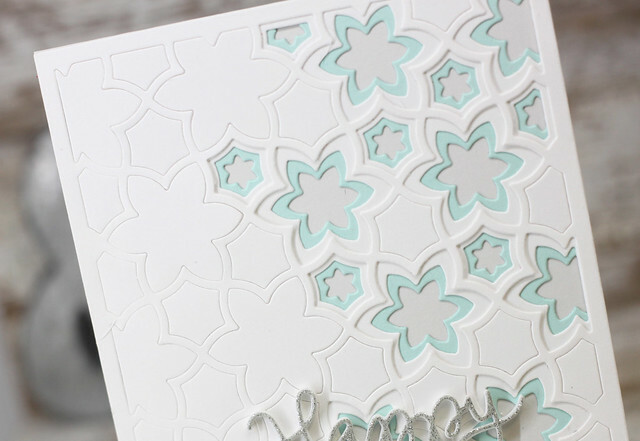 The top 2 cuts are white yardstick, then some Aqua Mist and the card base is Soft Stone, all from PTI. 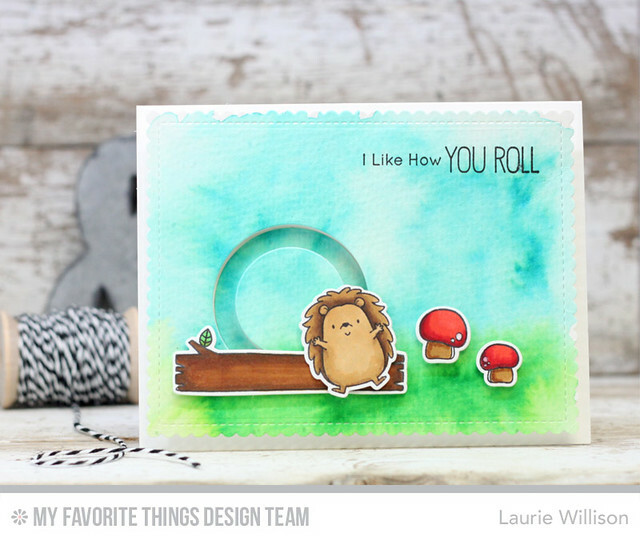 I used this sentiment from Simon Says and cut it out with some foam tape too, for dimension. The detail in these dies and how they looked stacked up, is amazing! Thanks so much for stopping in today! Hope you have a great weekend!